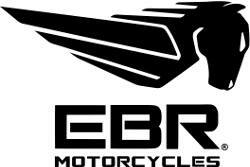 Bruce Belfer, the New Jersey buyer of Erik Buell Racing's manufacturing operations, said his first order of business is to 'turn the key and get the business back up and running' after Erik Buell Racing closed its doors in April and filed for receivership to clear up debt problems. Belfer said he wants to bring back the manufacturing and those employees who want to return, including keeping Erik Buell as president. Belfer will become CEO. Belfer submitted an offer of US$ 2.25 million prior to the court-approved August 5th auction of Erik Buell Racing's manufacturing operations. No competing bids were made at that auction. Belfer listed two motivations behind the purchase, one being that he has been an avid motorcyclist his entire life. We reported earlier that Indian Hero Corporation was taking over EBR, but that seems to be completely based on the wrong rumors….